Welcome to day #6 of 15 ways to get organized for less than $15. Today Susan, from Organized 31, is here share an easy tip to get ready for next year’s tax preparation. Happy New Year! January means New Year’s resolutions and starting to gather receipts and paperwork for tax filing in the next few months. That makes this the perfect time to start preparing, and organize for next year’s taxes, right now. I don’t think anyone enjoys tax preparation, but there are ways to make it a bit less painful. One of my favorite tips is to have a designated folder to collect all tax receipts and paperwork throughout the year. Next year when you’re ready to sit down and work on your taxes, you’ll have everything you need at your fingertips. Be sure to choose a brightly colored folder so that you can easily find it each time you need to file a tax receipt. 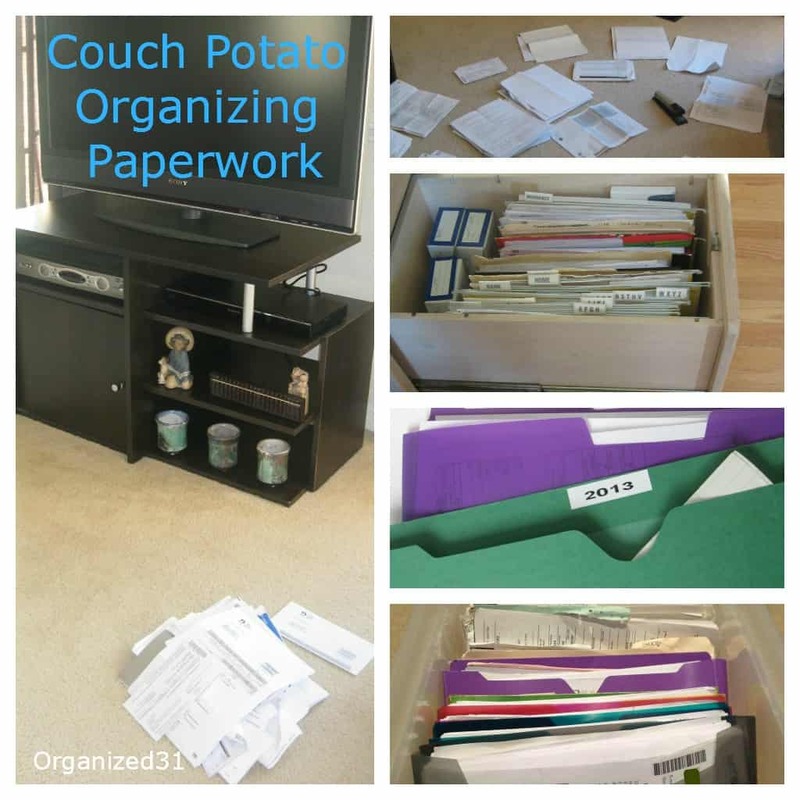 You’ll be more successful at consistently filing all your paperwork if you can easily find your designated folder. I’ve also found that pocket file folders work the best because you can simply throw your paper in the folder and not worry about it falling out the side. Label your folder with the year. Making a couple of years’ folders at the same time makes it even easier next year. It only takes about 2 minutes to create your tax folder. If you’ll slip every single receipt and every single tax-related piece of paper in it throughout the year, next year, filing taxes will be so much easier that it may be almost enjoyable. Well, maybe not enjoyable, but definitely much easier. Join us tomorrow and Anna will be showing you how she organized the built-in shelves in her office. To start from the beginning and see all the posts, click HERE. 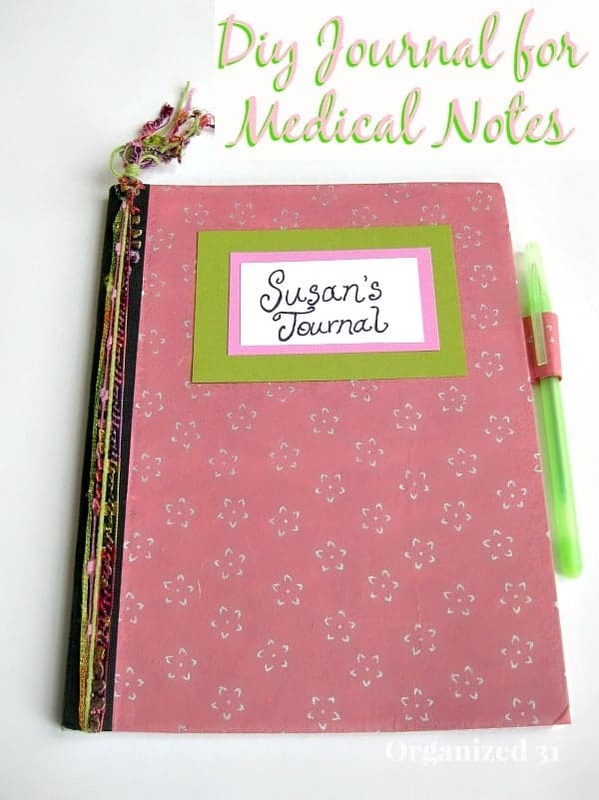 Check out more of Susan’s great ideas on how to organize paperwork over on her blog.